I am Tanvi , It's been almost 6 months I am here in NZ. My partner is NZ citizen. I did my masters in Information Technology under the Punjab University college named as GGDSD, Chandigarh. I love teaching and In India I used to give classes at home. So, If you are worried about your child's mathematical and graphical concept then talk to me i am happy to help and resolve your problems. 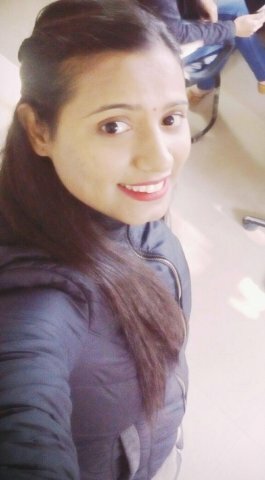 I have almost 3 years of experience in teaching in India. In India, I used to give classes at my place. It is kind of home tuition. I can help you by giving you the brief information about your problems and I will be happy to clear your all basic concept that makes your tough subject easy. I can teach you Web Designing, Mathematics and Graphic Designing. So that you can create your own logo and website by yourself. I will help you to understand the softwares like Photoshop, Illustrator, Corel Draw ad Wordpress. So what are you waiting for? Come and book your lessons with me. I will provide you the soft copy or hard copy of assignments so that whatever you have learnt you at-least practice it at home that will increase your speed.